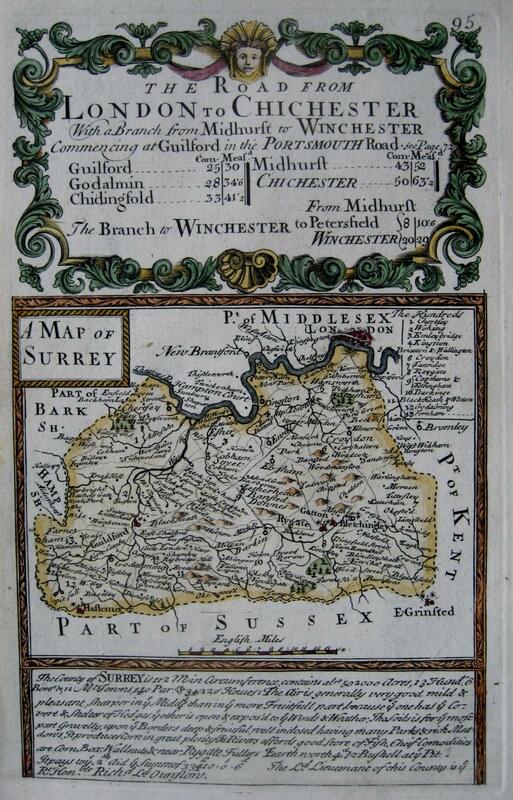 SURREY by EMANUEL BOWEN & JOHN OWEN c1720 With a road map through Surrey and Sussex on the verso. A copper engraved map c1720 with later hand colour from Britannia Depicta published by Thomas Bowles, Chapter House, St Paul's Church Yard, London, 1720. This 290 year old map is in excellent condition without any tears, foxing or faults. The image measures approx 18 x 11.5 cms with good borders.